We’re very exited about BMW’s new baby M-car, the long awaited M2. With road tests only coming in February this Evo Unwrapped video certainly whets the appetite with its technical review and highlights of the 365bhp 3.0 turbo coupé. So is this replacing the M3? M1, M2, M3, M4, M5, M6 etc, is it not over kill? | So is this replacing the M3? M1, M2, M3, M4, M5, M6 etc, is it not over kill? With BMW creating the 2 and 4 series ranges I can understand the confusion (plus it reminds me of Rover and that can't be a good thing). However we don't have many more M cars than previous. In fact they dropped the 8 series, there was the M635i, always has been an M5. M4 is the replacement for the E92 M3 as the F80 M3 replaces the more door E90 M3. 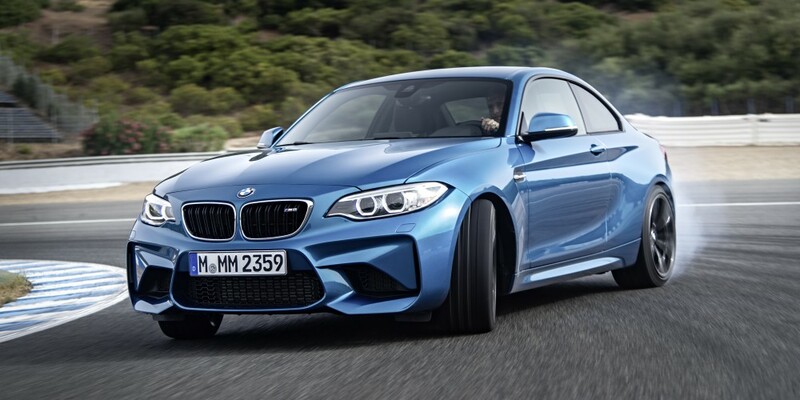 Finally the M2 is the successor to the 1M coupé. A storming lineup with 700bhp potential at he top end with some light tuning of that wonderful twin turbo V8. Audi RS cars are great but just not this exciting. Question is, is the M2 worth the 5k premium over an RS3 which has a hell of a motor itself. Or for another £10k you could have another turbo and a faster and more usable saloon in the M3. I am really excited about this and can't wait to get a go in one but the one thing that keeps annoying me about it (trivial I know) is that it uses the standard 2 series wing mirrors. Ever since the E34 M5 every M car has had specialized wing mirrors to set it aside from the normal BMW flock and I think it would have looked a lot more mean with a set of M mirrors. Nice car but as @Cooper says is it worth £5k more than an RS3? Will it only be made in one body shape? Sound amount of orange peel on that bootlid. All manufacturers seem to be going down the same route by saturating every niche of the car market. Takes completely away from any exclusivitiy they once had IMO, just more of the same badges on the road. But then they need to sell cars hence doing this. | All manufacturers seem to be going down the same route by saturating every niche of the car market. Takes completely away from any exclusivitiy they once had IMO, just more of the same badges on the road. But then they need to sell cars hence doing this. It was when BMW started Estoril as a colour you could get on any car rather than just on an M3. Seeing 116i's running about in Estoril took the exclusivity away in my opinion. Now it's not even an M car option (I don't think). | It was when BMW started Estoril as a colour you could get on any car rather than just on an M3. Seeing 116i's running about in Estoril took the exclusivity away in my opinion. Now it's not even an M car option (I don't think). I don't think it is actually. I think the M one they do now is monte carlo blue. I am in love with Sakhir Orange and think it is the best M colour at the moment.